Is it possible to get a waiver for the two-year residence requirement on my J-1 visa? How and where do I get a “no objection” statement? Where should it be sent? To request a “no objection” statement, call the consular section of the Washington D.C. Embassy office and request one to be sent to the Department of State on your behalf. It should be forwarded to the Waiver Review Division at the State Department. When should I request the “no objection” statement? You can only request it after you submit your data sheet and fee when you apply for the waiver. The Waiver Review Division will send you an information packet about it. My former country will not give a “no objection” statement. What should I do? Apply for one of the remaining statutory bases if one applies. If none of the remaining bases apply to your situation, you must return to your country of residence to meet the 2 year foreign residence requirement. Is anyone not allowed to apply for a waiver on the bases of a “no objection” statement? Yes, Those who are foreign medical students who graduate and who were sponsored by the Educational Commission for Foreign Medical Graduates (ECFMG) cannot apply for a waiver based on a “no objection” statement. Why are foreign medical graduates not allowed to? Because by Public Law 94-484, Section 212(e) of the INA, foreign medical students who are granted visas to come to the United States to receive medical training and education are without exception, subject to the two-year foreign residency requirement. Before a sponsorship is provided by the ECFMG, the student’s home country must provide a letter stating the need for that country’s to have more medically trained physicians. The purpose is to train physicians for that country, not the U.S.
How will I know if my “no objection” statement has been received? You may call the U.S. Embassy Waiver Review Division and ask if they have received it. Can I ask for reconsideration if my “no objection” statement was denied? No, all waivers are carefully considered and once there has been a denial it is final. However, you can reapply for a waiver by using another of the statutory basis for waivers if one of them applies to your situation. What is required for filing for a waiver based on a U.S. Government agency application? A letter written on your behalf by an official of the interested U.S. Governmental agency as to why granting you a waiver is in the best interest of the U.S. It should also explain why it would be detrimental to the agency if you were to return to your home country to fulfill the 2-year residency requirement. What is required for a waiver for an exchange visitor physician to work in an underserved area? A Physician statement - A statement signed by the physician that should read as follows: "I,__________(name of exchange visitor) hereby declare and certify, under penalty of the provisions of 18USC.1101, that: (1) I have sought or obtained the cooperation of_______(enter name of U.S. Government agency which will submit/is submitting an IGA request on behalf of the exchange visitor to obtain a waiver of the two-year home residence requirement); and (2) I do not now have pending nor will I submit during the pendency of this request, another request to any U.S. Government department or agency or any equivalent, to act on my behalf in any matter relating to a waiver of my two-year home residence requirement." Make sure you sign and date the statement. What will the U.S. government agency need to send to the Waiver Review Division? A letter asking for the visitor to be granted the waiver of section 212(e). The letter should state why it is the best public interest for the exchange visitor to stay in the U.S. If foreign government funding is involved, a “no objection” letter. Facility statement stating the graduate will be employed in a designated HASA or MUA area. The statement must be signed by the head of the facility and should include the Federal Information Processing Standards county code and census tract. It may also include the block are numbering assigned by the Bureau of Census or the 9-digit zip code. Proof that effort was made to hire an American physician and failed for lack of interest. If in a VA hospital, a Department of Affairs request for the J-1 physician to serve in a VA hospital. VA hospitals are not subject to the underserved area requirement. I fear persecution returning to my home country - can the residency requirement be waived? To obtain a waiver of the two year residency requirement, obtain a form from the Bureau of Citizenship and Immigration Services (former INS) and submit it to the same agency once filled out. You will be directly notified if approved. Can a waiver be filed on more than one basis at the same time if I am in fear of persecution? No, applying for the residency waiver for other reasons should not be mixed with filing for fear of persecution. How do I check on the status when I have applied based on fear of persecution? Call the Waiver Review Division at 202-663-1600 and ask the status of your application. If it has not been determined yet, they will tell you it is “open”. Until you hear from them directly it can be considered as being open. However, you should make preparations to return to your home country in the even that it is denied. My family member faces hardship returning to my home country - can I get a hardship waiver? Submit Form I-612 to the Waiver Review Division. Will the Waiver Review Division give me the status of my exceptional hardship application? Yes, call 202-633-1600 and they can inform you if there is any additional documentation needed. You should make plans to return to your home country in the event your waiver is denied. 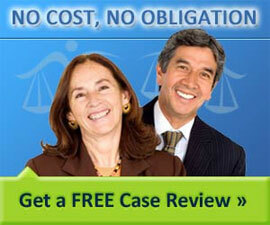 The Waiver Review Office will contact you when the determination is made. How is a waiver obtained based on a request from a state health agency? What U.S. government agencies can apply for a waiver on behalf of a foreign graduate? The Appalachian Regional Commission, Department of Agriculture, Department of Veterans Affairs and Department of Interior for Indian Reservations. Foreign medical graduates may also apply through an individual State's department of health that participates in the Conrad State 20 program. What are the U.S. Government agencies that can apply on behalf of an exchange visitor? What is an advisory opinion and should I request one? This is a statement from the Waiver Review Division about whether an exchange visitor is subject to Section 212(e) of the Immigration and Nationality Act. You should only ask for one after you have participated in a J-1 program and are not sure whether you are subject to it. Your attorney can also ask for it for you. How long does it take before a determination for the waiver is made?